Mobile Steam Generator, Mobile Steam Generators, Manufacturer, Exporter, Supplier, Pune, Maharashtra, India. Majorly we export products to customers from Gulf, Asian & African countries etc. We are counted among the prominent Mobile Steam Generator Manufacturers and Suppliers in India. The Mobile Steam Generators offered by us are backed by advanced features making them efficient in their performance. 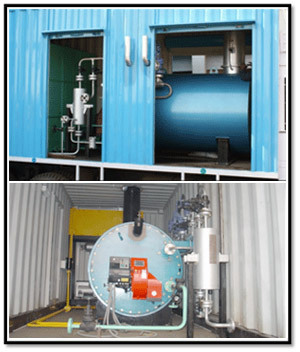 Mobile Steam Generator are easy to operate and have minimum maintenance cost.